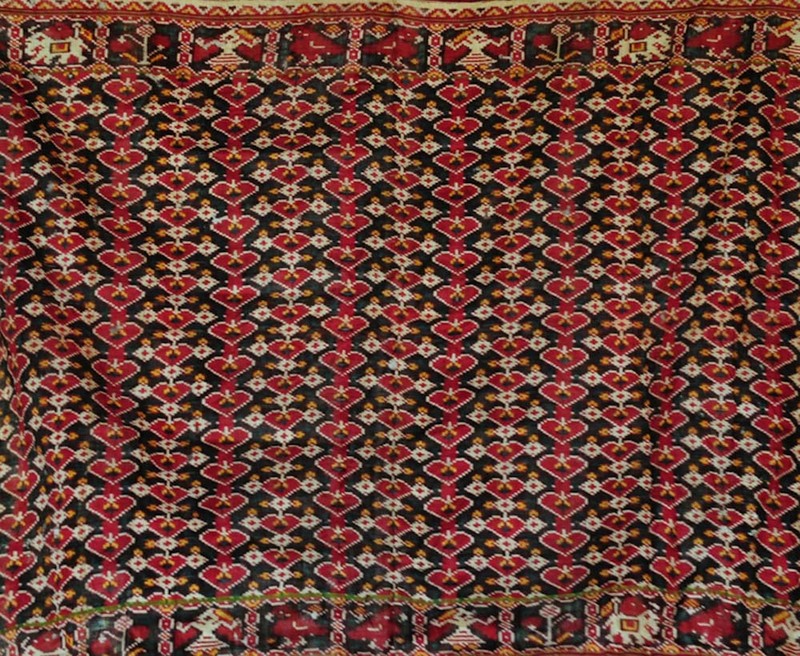 This extremely fine example of double Ikat is an heirloom piece of one of the two surviving Patola weaving families. Known as the heirloom fragment piece that has been with them over 10 generations. Precise age unknown but estimated to be pre-1800. The Arts House, (Old Parliament) | Singapore. This entry was posted on February 10, 2014 by wovensouls in Uncategorized and tagged antique, bridal, double Ikat, exhibition, heirloom, home decor, Ikat, Patan, patola, sari, textile, textile art, Vanishing Cultures, wall decor.